At Kamp Kohut, we have an elective program. That means you can choose your own schedule each week. There are 50+ different activity choices! Before you come to camp, you’ll complete an activity sign up form at home with your parents and send it back to us before the summer starts. Your schedule will be all ready to go when you get to camp, full of six activities from your top ten list! After the first week at camp, you will sign up for the next week’s activities. You may choose to stay with the same activities or try some different ones. The same is true for week three. We want you to go as far as you would like in an activity, but also be exposed to lots of new activities. If you don’t see a particular activity you are looking for, don’t worry! We probably offer it during Daily Choice. Daily Choice gives you the chance to try something new every single day! During Daily Choice, you can try activities that are on the regular schedule (it’s kind of like a “taste-test!”) or you can sign up for something completely different, like Extreme Bocce, Ultimate Frisbee, or Magic Tricks. Another fun time is Evening Activity, where you and your bunkmates will participate together in an all-camp event or an organized activity just for you! It’s a great opportunity for bunk bonding and exposure to different areas of camp. Kohut offers two separate and distinct four-week sessions. Characterized by warmth and friendliness, the Kohut program is centered on learning new skills (physical and social), refining existing skills, and developing a genuine appreciation for the outdoors and the camp community. While Kohut is a traditional camp, our program philosophy is progressive. We believe it is important for children to be in a structured environment and yet have the freedom to choose their activities. Kohut offers an extensive array of 50+ activities, including a comprehensive range of waterfront activities, land sports, creative arts, performing arts, media and adventure programs. Horseback riding is offered up to two times per week at a local, private stable. Academic tutoring is available upon request. Kohut is place where children feel safe learning skills and pursuing activities without prior experience or a specific level of talent to participate. They can also pursue a greater level of expertise in an experienced activity. Each day is divided into eight scheduled activity periods. This includes six elected activities, one “Daily Choice” period, and one “Evening Activity” period. Daily Choice provides the opportunity for campers to gain additional exposure to an area of special interest or to try something new and unique for one day. Evening Activity allows each bunk group to participate in an activity together and explore new areas of Kamp. Most daily activities are individually scheduled, enabling us to group children according to their skill, interest and age levels. Boys and girls have the same activity opportunities, however, instructional groups are separated by gender. An elective schedule promotes enthusiastic participation, interest-based friendships and careful attention to skill progression. Campers are not bound by their cabin group or social cliques during the six activity lessons, but still make close bunk friendships, learn social skills and have fun during Evening Activity and general bunk time. Initial activity selection is done at home with parental guidance. 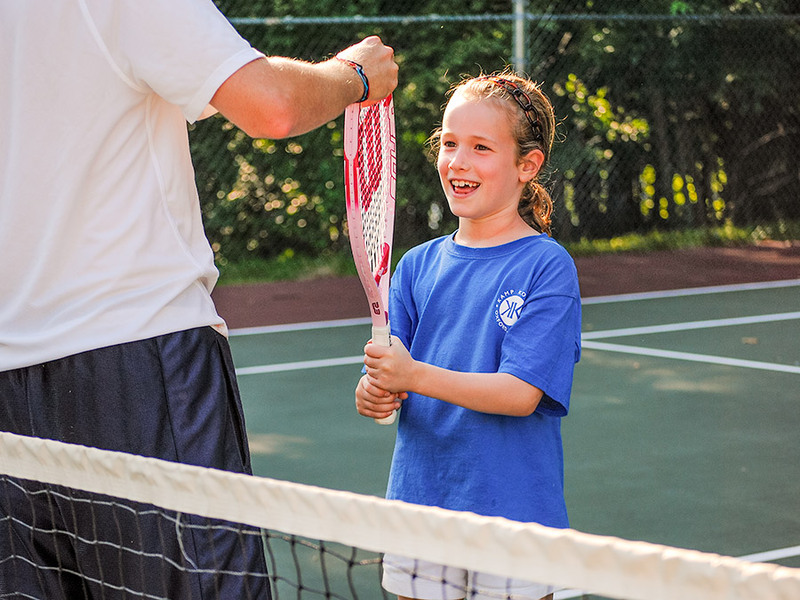 Campers choose a new activity schedule each week, as camp progresses, with the help of a designated counselor who is informed of any parental requests. 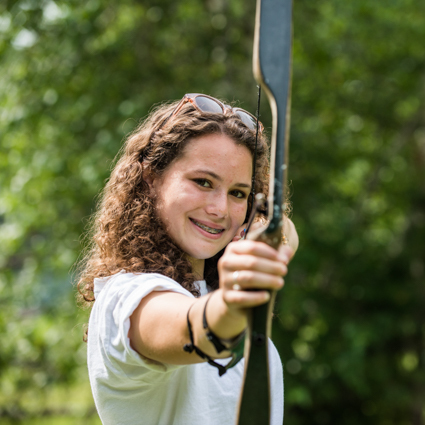 We go out of our way to schedule campers with their top choices and all classes maintain excellent supervisory ratios, with a number of classes being one on one instruction. 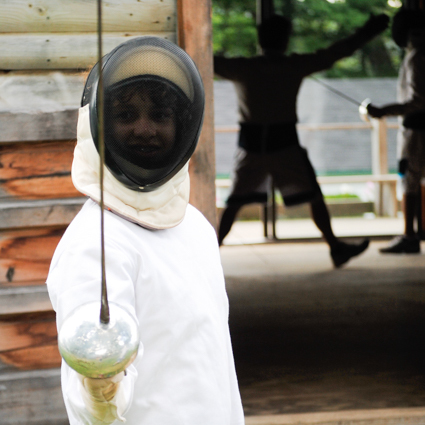 Campers are welcome to repeat activities from week to week, and to explore new choices each week. To learn more about our daily schedule click here. Weekly events include exciting nature-oriented trips throughout Maine on Trip Day, Special Events (such as Dances, Casino Night, and the Gold Rush) a spirited Campfire, a creative Theatre performance, and a fun Blue & White Day (games). Each four-week session also includes an overnight camping trip with bunk mates, and a spectacular three-day Special Event (“Olympics” or “Kollege Days”), with an unbelievable “break” and an unforgettable closing Song Fest. Each session also has an Opening Campfire, a Final Banquet, and a carnival. 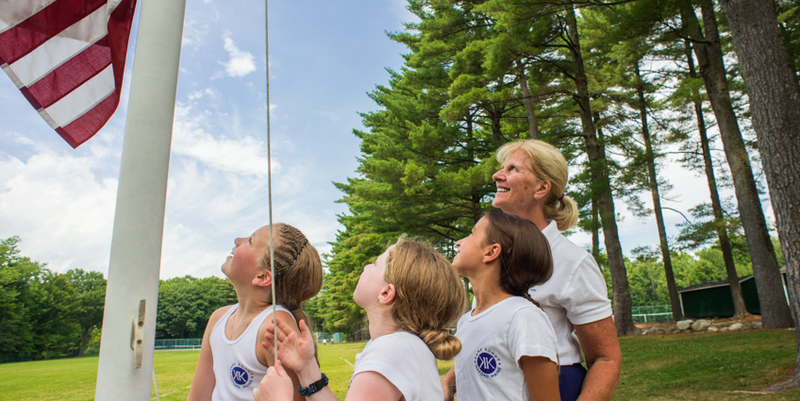 There are a number of special activities reserved for the oldest campers (“Seniors,” entering 9th & 10th grade), who are encouraged to learn leadership skills and be positive role models for the younger campers.